Travel internationally and need another reason to dump Ma Bell for Big Red? 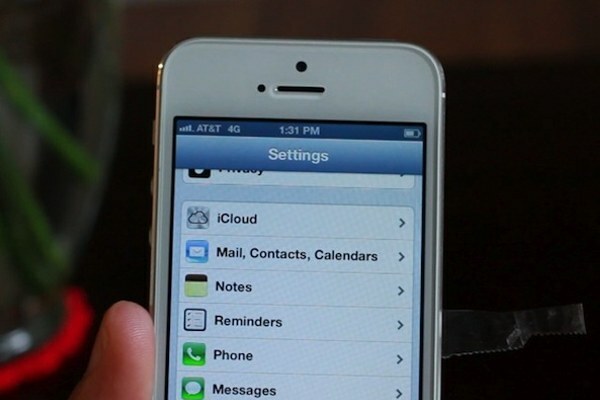 It turns out that that the Verizon iPhone 5 is shipping unlocked and ready-to-use on GSM (i.e. AT&T, T-Mobile, overseas carriers) networks — all you have to do is swap SIM cards, which is simply brilliant. Jeff over at the iDownloadBlog manually cut down his AT&T SIM card and, with the aid of packing tape and a paperclip (don’t try this at home, kids), inserted it into his brand-spanking-new Verizon iPhone 5 and discovered he gets GSM 4G (a.k.a. HSPA+) service — boom. I can confirm that the Verizon iPhone 5 is indeed GSM unlocked. Even though I bought an iPhone 5 from Verizon under contract, I was able to cut down my AT&T Micro SIM, and use it in my Verizon iPhone 5 to pick up an AT&T signal. By doing so, I was able to hop onto AT&T’s HPSA+ network, or “4G” as they so ridiculously name it. He also discovered that AT&T’s HSPA+ service (5Mbps down, 3Mbps up) in his area is almost as fast as Verizon’s LTE network (6Mbps down), which is a depressing rejoinder to this otherwise happy story. Yup, that is pretty cool.